After a long time I finally finished the project 34 advanced MF, AO texture applied to the bodywork and put several scripts to make it closer to reality with animation as animated in the sieves, Saca straws, chipper among others. 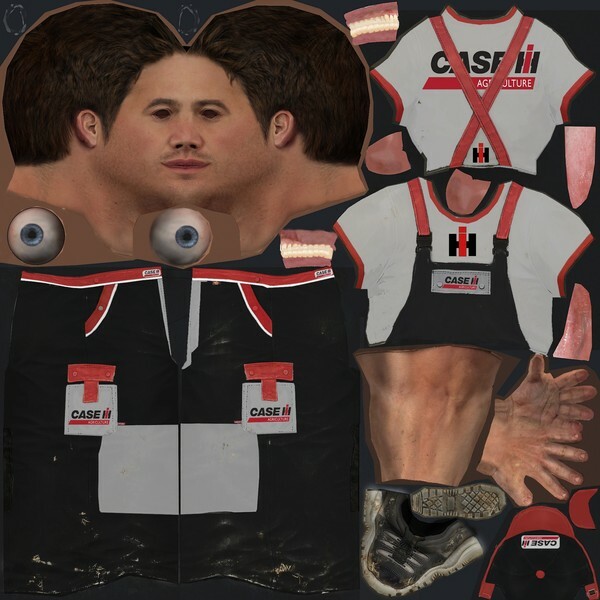 Commenting if you find any bugs and comment if you will like the mod Because The only reward we gain by doing mods are the comments thanks. 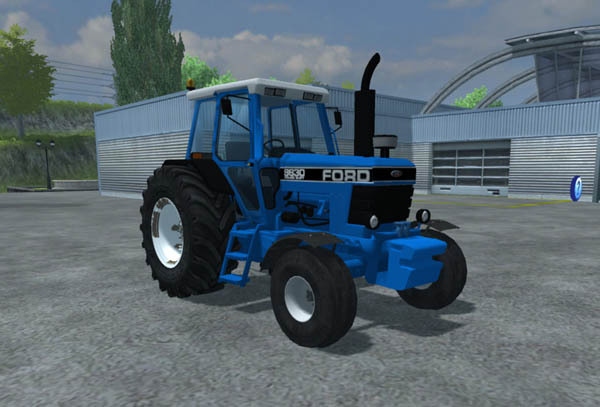 Revised version of the Ford 551 round baler of ccs101 (http://www.modhoster.de/mods/ford-551-roundbaler-2013). Pressed wheat and barley straw and hay and grass.
? In the photos from the original that I could find on the internet, I am not sure if the straps are wrapped around the bale, have therefore dispensed with a corresponding replica?
? I did not find pictures in the internet of the real where the baler baling process is shown. Therefore I am not sure if the belts go around the bale during pressing. I omitted examined belts. ? Mainly Ford balers were sold in the 70s and were manufactured for Ford by Gehl. The Ford 551 and later the 552 were quite popular in Their day. For some who have forgotten what should be a funmod, a borstie have here with strange sound and fun to rumgurken. Here I present you my map available. and thus should run fine on any computer. Ran in SP / MP about 250 h without problems. The score must be started! When farmers make equipment for farmers, you get innovations did Are not found in an engineering textbook. 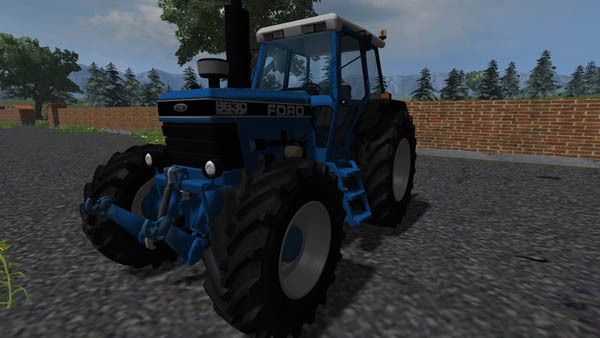 Case in point: the new Ford 8630th These tractors defy the status quo in more ways. You get more power with less noise and fuel, higher speeds with better maneuverability, Increased technology with simple operation. In short, you’ll never have to compromise When you own a Ford 8630 tractor. 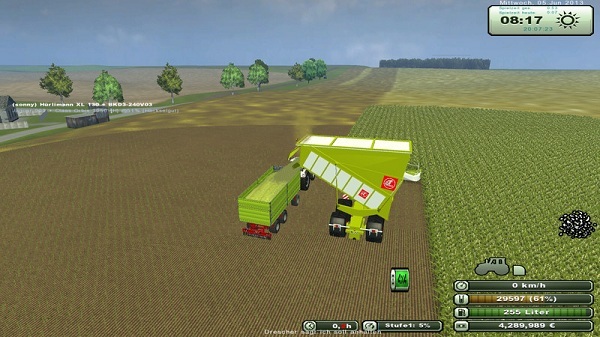 I have the Claas Diso for ls 2013 Converts. 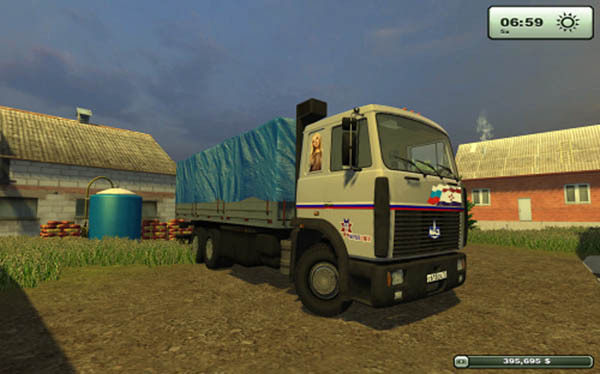 Mod Maz and Trailer 6303 v4.0 for CB 2013 – Truck with trailer for the game Farming / Landwirtschafts Simulator 2013. Here I offer you a homemade weight of Joshi and Mod Factory thejohndeere7930. 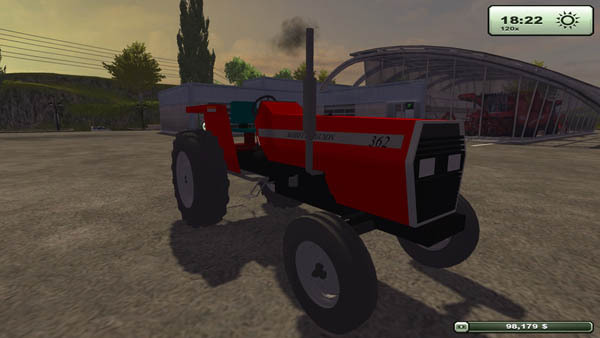 Wish you much fun Joshi & Mod Factory thejohndeere7930 and jd6430. Today I present you my fruits before textures package. 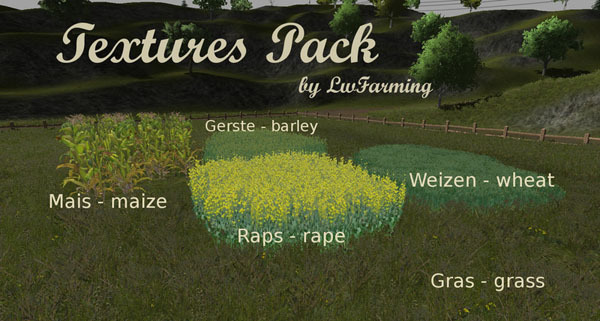 It includes new and edited textures for grass, barley, wheat, corn and canola. Additionally new straw and grass clippings with new grass and hay in wheat and barley. Always make a backup of your original files! Then you can watch the textures in your textures folder in Mapordner purely pack. I have laid up for you also preferences for fruit height and density. (Values in the map.i3d change) For details, but in the ReadMe. 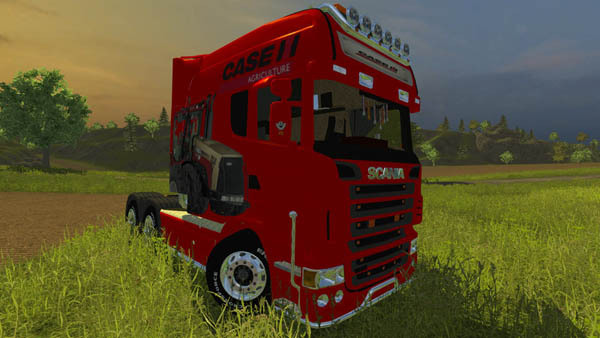 With this mod you add all vehicles added a GPS assistance system. Perhaps the most important change for V1.0: The whole is now fully MP-compatible! But also for SP-player there are some changes. The system can be used actively and passively. In passive mode, the system displays a trace line on which one can orient oneself. 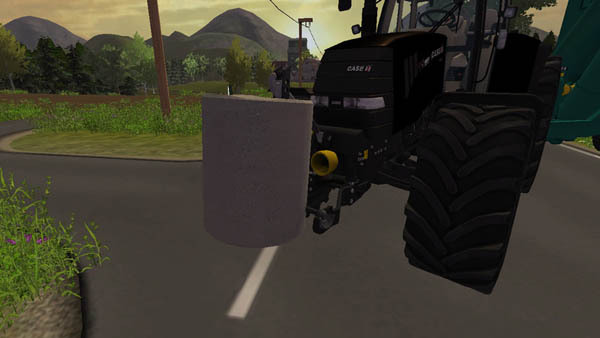 In active mode, the assistance system takes over the steering of the tractor and keep it in the lane. All controls are invoked with CTRL (to the left) and the numeric keypad! Bottom left of the HUD-rpm mod (if you have it installed) is a small HUD. The first is by default set to “Off” and the mod does nothing. Activate the GPS system goes with “Ctrl-0″. The system is now in passive mode. 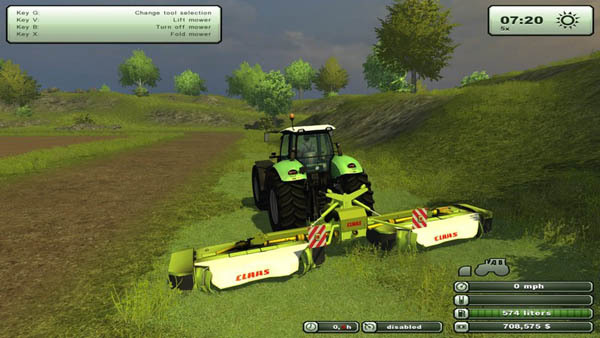 Now turn on a working width of the implement used with CTRL Plus and CTRL Minus. The red dashed lines indicate for the edges of the lane, you have the width of its attachments do not know by heart so. 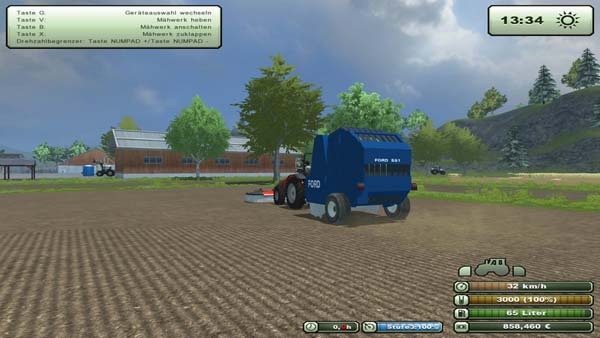 For attachments in which the center of the working region different from the center of the vehicle (side mower, plows) can also be set up or a shift of the driving lane from the center (offset). To this end shifts to the blue line with Ctrl or Ctrl-high picture picture down. Alternatively, you can adjust the settings automatically using Ctrl-3 system. 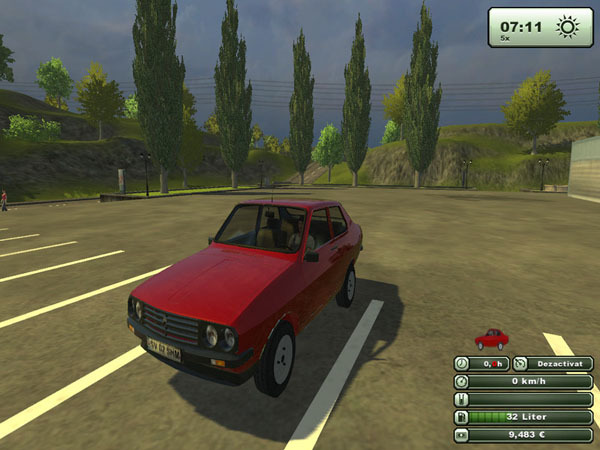 Now you drive the vehicle to where you want to begin the first lane and initializes the system with CTRL-ENTER. Here, the lanes at the current position and direction of the tractor is anchored. 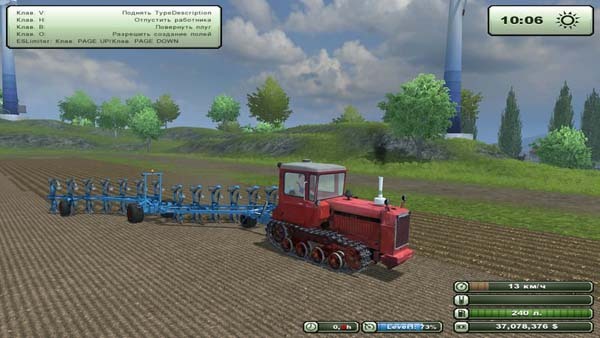 Precise alignment of the tractor is not required for this, the GPS system is based as well as the helper in the angular distribution of soil textures. For non-rectangular fields can change the behavior (Ctrl-1). When you initialize the exact orientation of the vehicle is then taken. For better control of the applied lane the edges of the lane are briefly extended significantly. To work in passive mode can now only has to start his machine and follow the green line. To start steering assistance (Active mode) just press CTRL-W. During a brief intervention in the steering, the system immediately switches back into passive mode. If you switch now the ES-limiter and cruise control added to the tractor steers itself continuously over the field. You can look around in peace, the work unit and will start again on the headland. 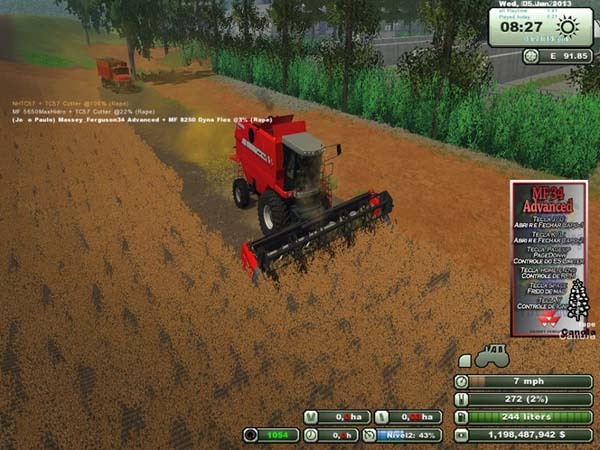 You can replace GPS profiles between different tractors on a “clipboard”. For this purpose we store the current settings by pressing CTRL-A * from the tractor, tractor switches to B and calls it there with CTRL /. 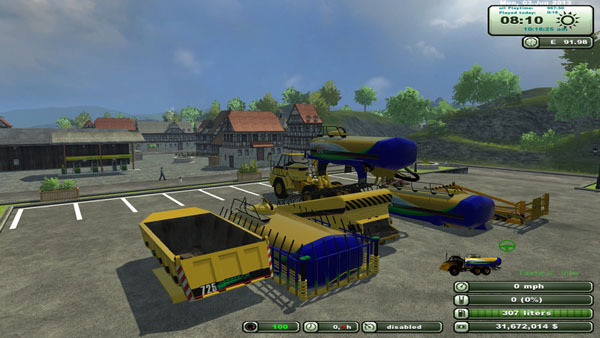 For working with rotary plows and similar devices can be inverted by pressing Ctrl-Shift left the set offset, ie move to the other side of the vehicle. With CTRL, you can vary the display mode of the mod and track deviation display or hide a track lines. You can also completely hide the HUD now. * First of all, the most important: MP works now! And produce no extra network-traffic! * Changed handling characteristics with GPS off remedied keyboard drivers. 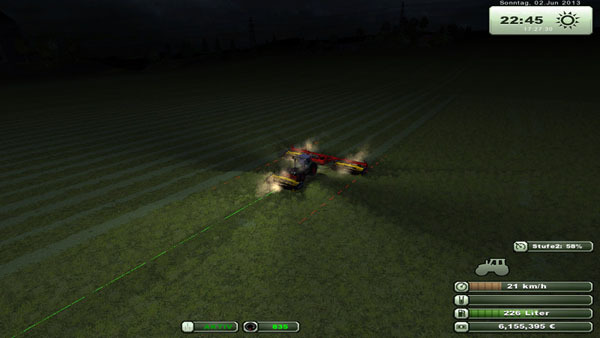 * Reversible Angle mode: You can now determining the angle (“rounded” on soil texture angle) between LS13 and LS11-helper type-helper type (exact orientation of the tractor) switch. The representation of the lane boundary (red lines) in the alignment is to facilitate the alignment of the “LS11″ mode significantly extended. 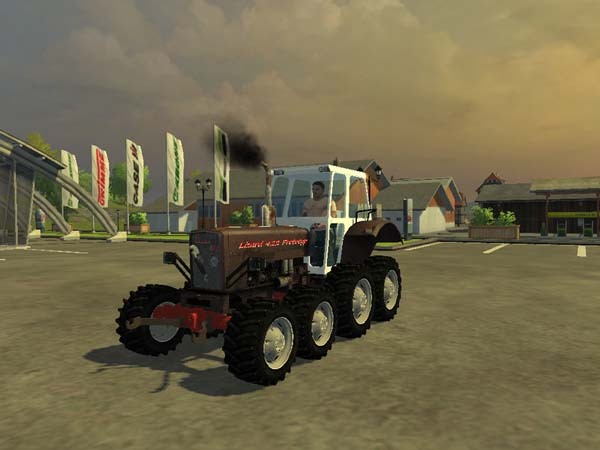 * GPS Profiles of tractor are synchronized in the MP now. 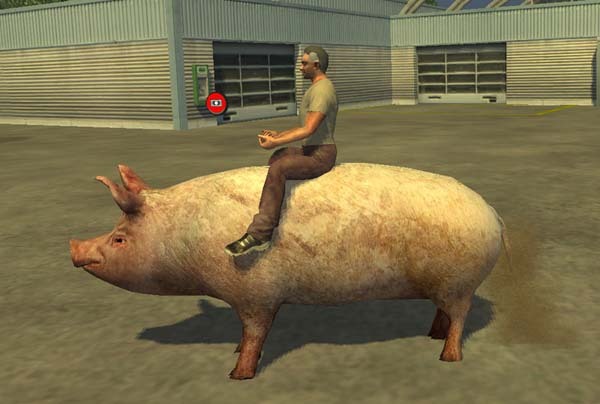 You can get off so the next one can sit and continue with the same GPS settings. * GPS clipboard is MP-capable. 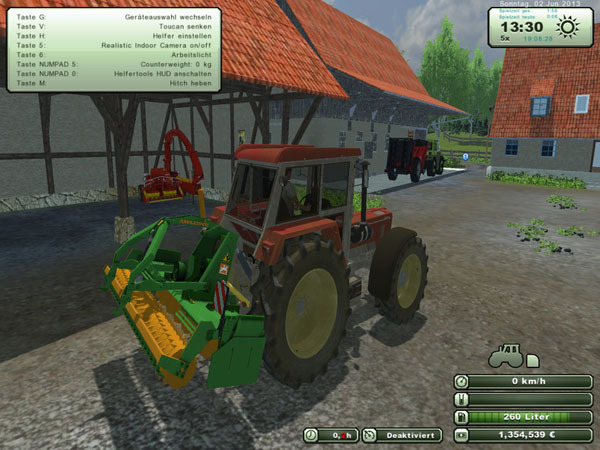 A player stores his profile, player B chooses load profile and the profile of player A has at its current tractor. * For non-symmetrical tools (eg: side) is a function of lateral offset (offset) is added. 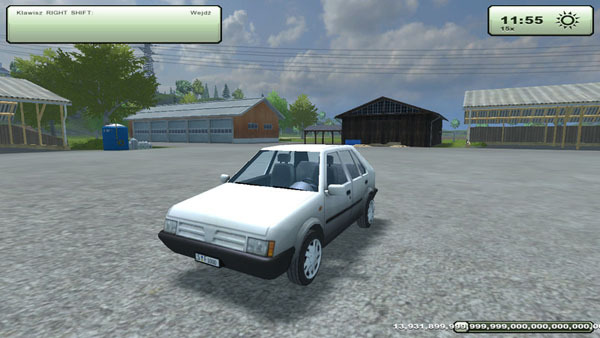 * Implemented the GPS function to copy profile from the nearest vehicle. This should be a simple alternative to the copy & paste method. Works in MP probably much smoother, simply because you have to deny less. * Function together for the automatic recognition of working width and offset of all attachments. * Offset into account when initializing. The vehicle is also now at an offset after the initialization in the lane. * Offset inverted push of a button, for example to work with rotary plows.